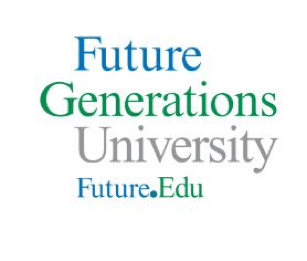 What sets this institution apart from the traditional higher education model is that Future Generations University’s innovative blended learning curriculum allows students to build their learning around their existing communities. This means that they don’t have to leave their homes or work to which they’re already dedicated. By using students’ work as a learning platform, change is able to be implemented immediately as learning happens. In doing this, students are actively engaged with their communities throughout their education. Therefore, civic engagement is at the heart of the pedagogy of the institution. Throughout their studies, students gather in local and international settings to further learn how their knowledge can be applied in myriad contexts. Each cohort is comprised of students from around the world, bringing together different perspectives and encouraging collaboration as well as innovation. In short, a global community becomes their ultimate classroom. Future Generations graduates are leaders and teachers within communities in 32 countries. Over 90% of graduates remain in their communities, using their advanced degrees to reinvigorate and redevelop outreach programs. 93% have expanded their community change work to a larger geographic area or to engage more people in need. Learning and support doesn’t stop when students graduate. Upon completion of their MA in Applied Community Development, all Future Generations alumni go on to join Future Generations University Center for Community Change (Future.Org). This global network of practitioners of social change is a center of research and practice within Future Generations University. Members are organizations and individuals who link together to evolve global effective practice for scale-level, cost-effective, reaching-all impact. Future Generations University’s impact in West Virginia is also significant. As part of its Rural America program, with a $4.4M grant from the 2009 American Recovery and Reinvestment Act, Future Generations partnered with 60 fire departments and rescue squads throughout the state to set up computer access and training centers. Not merely an academic institution, Future Generations takes great pride in its host state and is dedicated to promoting the welfare and improvement of its residents.